Ever remember solemnly swearing you’d never wear flares again? We do. Alas, how the tables have turned. Yes, we’re somehow in full support of this trend being brought back—the key is to how you wear it. 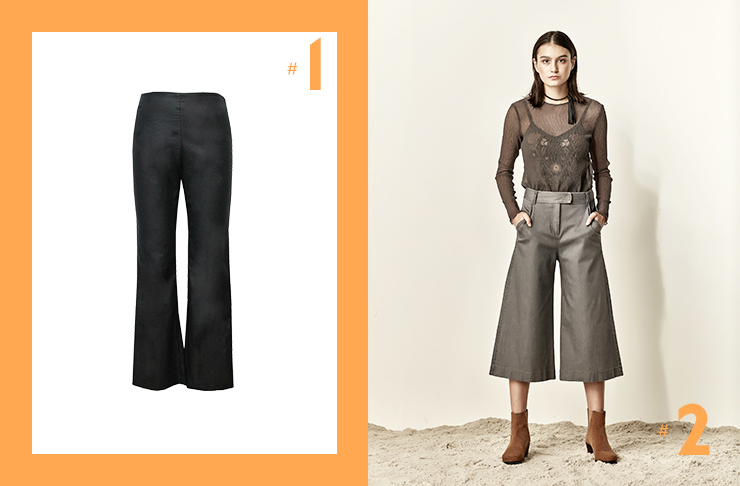 Don’t pull out the disco pants from your mum’s wardrobe, instead go for a more modern look. This silky smooth black flared pair from Staple + Cloth is one of our favourite styles, and is a great option if you want to ease into this trend. It’s subtle and super comfortable. Pair them with heels and a basic tee for an effortlessly smart look. Sylvester’s cropped flare is right up our alley. If you want to wear the flare with confidence, then be bold and opt for this version. Ah yes, for those of you working in an office, never fear, we have not forgotten about you! Neither has RUBY, creating the flare that’s totes office approp’s. 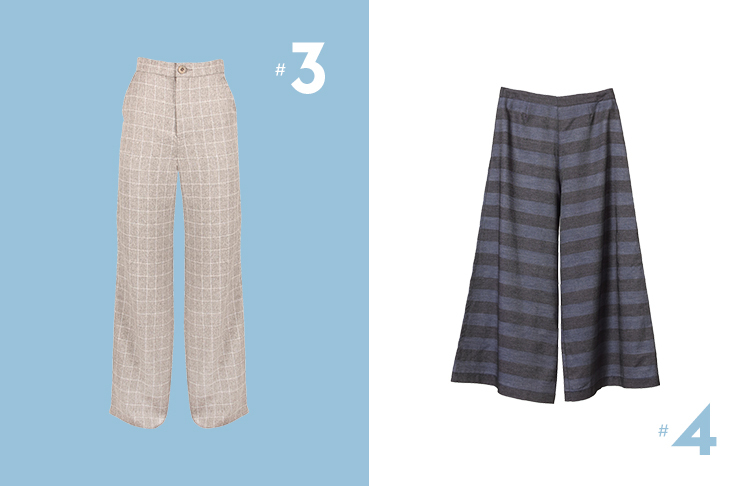 The checked pant has a subtle flare that’s not too out there, but also isn’t a straight leg. We recommend getting the matching bodice for after-work attire. 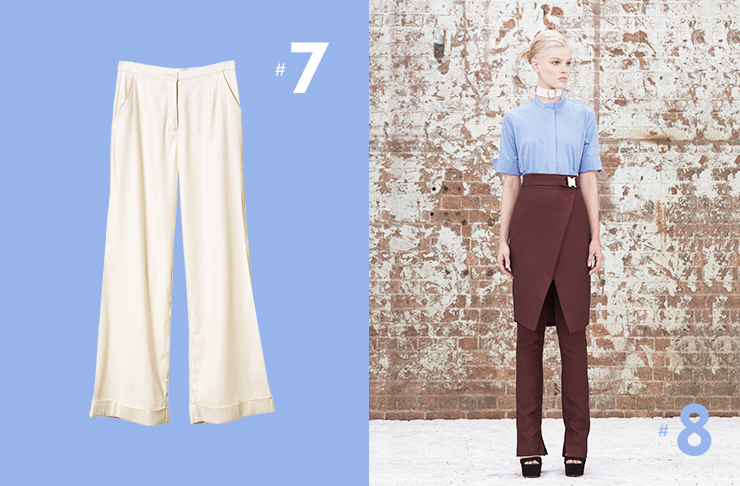 Liann Bellis has succeeded in the style ranks with its culottes’ style flares. This style will take you through spring and summer with plenty of room to move, and lightweight design for those warmer days. Georgia Alice knows what’s up in the style stakes, always pushing the boundaries and influencing girls around to wear clothes with confidence. These Georgia Alice jeans are a must-have on our list. We see season after season the return of stripes, let’s be honest, they never leave. We’re totally into Kowtow’s striped flares, edging on boating attire—although we know that’s not what you really wear boating. Let’s just imagine wearing these when swanning on an anchored boat in Croatia. Lucky for us, pyjama dressing is on trend, so you can wear some silky pyjama pants to work and be accepted. We’re drooling over these ones from Julian Danger that look extremely comfortable. For those of you who are not quite ready to go full steam ahead with the flares, then this pair from Camilla & Marc is the one for you. The pants have a split hem, creating a subtle flare. Expect to see plenty of this style coming through in the next season. Looking for something for the top half? Check out 8 Of The Best Bomber Jackets.